The creation of the so-called "green corridors" in Russia for agricultural products from Iran is aimed primarily at substituting sanctioned Turkish products, Russian Deputy Agriculture Minister Sergei Levin said. MOSCOW (Sputnik) – Levin announced the planning of "green corridors" for agricultural products from Iran in the Republic of Dagestan in March. 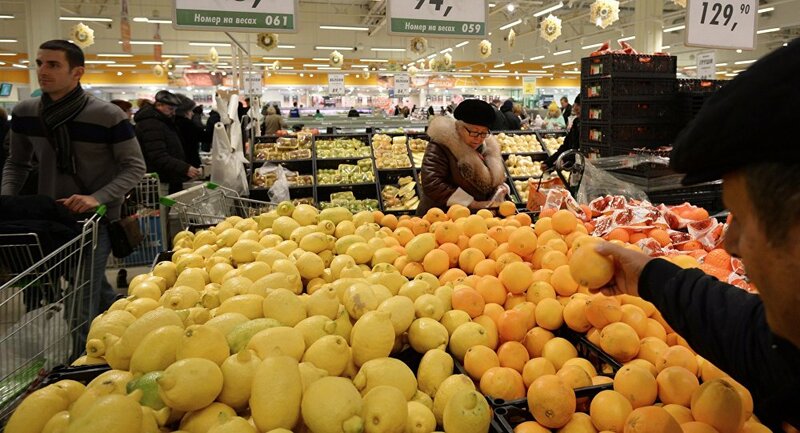 "After the adoption by the Government of Russia of sanctions on the import of agricultural products from the Republic of Turkey, the country’s [Russia’s] Ministry of Agriculture is actively working on the replacement of these products, first of all, by goods from Iran. It is this, in the first place, that the order to create a ‘green corridor’ is linked to," Levin said as quoted by the press service of the head of Russia’s North Caucasus Republic of Dagestan. Relations between Moscow and Ankara deteriorated following the downing of a Russian Su-24 attack aircraft over Syria by a Turkish jet on November 24, 2015. In December, Russia introduced a set of economic measures against Turkey in response to the incident. Russia’s trade turnover with Iran amounts to $700-800 million.